This groundbird is usually cryptically –coloured, though it is frequently spotted on the side of the drive ways in Tsavo West and East National Park, Amboseli ,Samburu and Meru National Park. 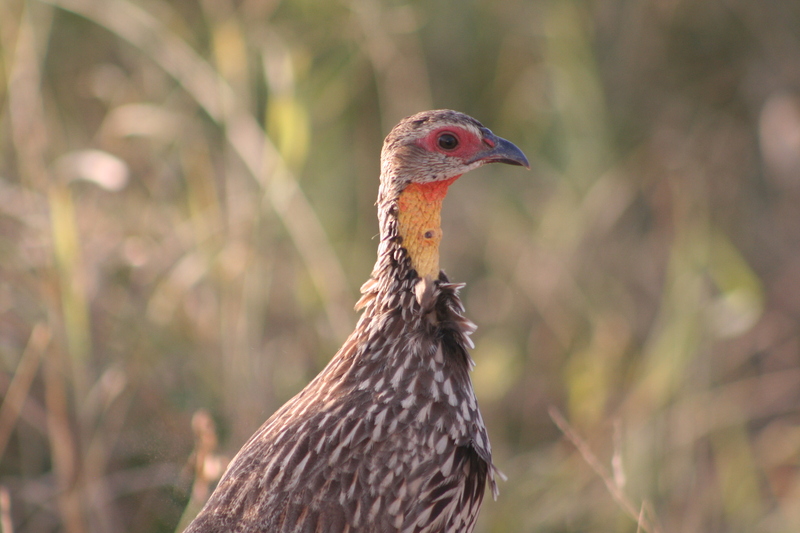 It is large francolin with a blackish bill, distinctive bare yellow throat and red-orange skin around the eyes. Brown upper parts have some narrow buff streaking, underparts more heavily streaked brown and white. It should be a straight forward bird, and its identification shouldn’t be a problem as such.